This is an 6-in-1 Starter Kit for the GoPro Hero Series video camera. The 6-in-1 kit is ideal for any adventurer. 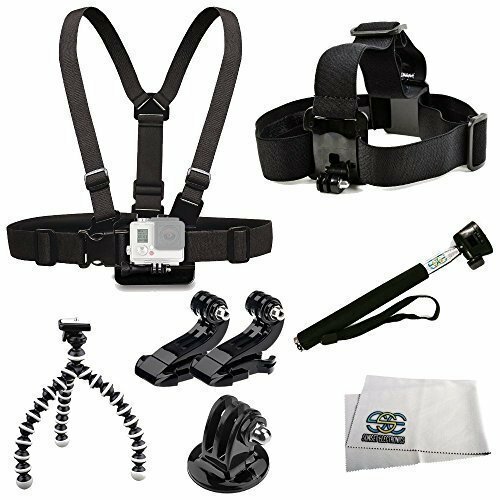 From go karting, motorcross, hiking to water adventures, the GroPro Hero accessories kit is ideal for capturing action videos. Head Strap - Fully adjustable to fit all sizes, the head strap can be worn over a helmet or directly on your head to capture footage from a headlamp-like perspective. 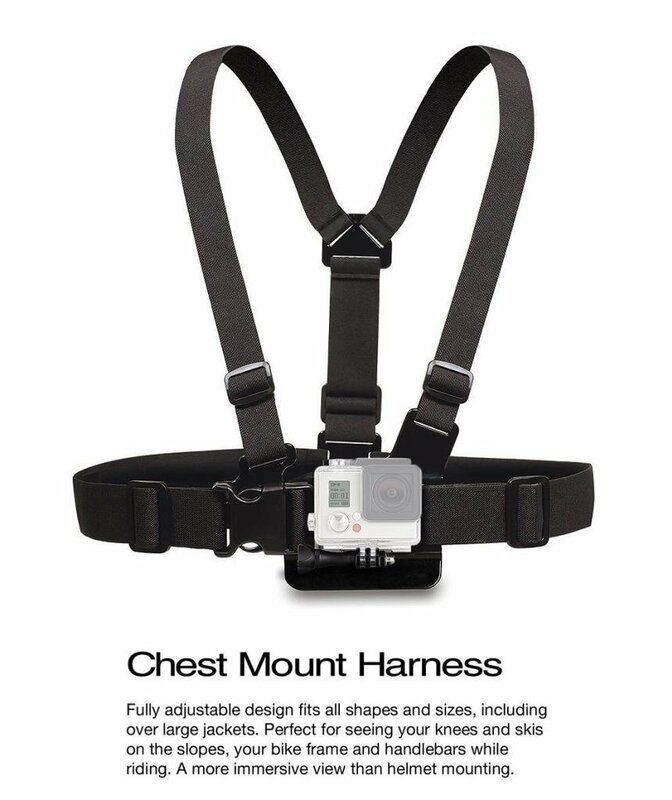 Chest Strap - Lets you wear your GoPro on your chest; Comfortable, fully-adjustable design fits all shapes and sizes, including over-sized large jackets. Gripster - When your GoPro needs support for unique photo's or videos, an ordinary tripod might not be able to tackle the job. This bendable tripod is the lightest and most versatile tripod available today. 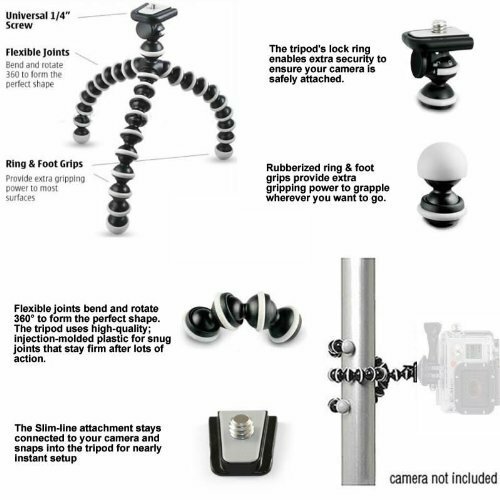 Featuring over two dozen flexible leg joints that bend and rotate, this tripod will firmly secure your GoPro to virtually any surface anywhere and everywhere! It is the only tripod malleable enough to provide you with the perfect shot while wrapped around a tree branch, hanging from a pole, or perched on a jagged rock. The possibilities are endless! Handheld Monopod - Take perfect pictures with everyone in the shot every time! Take your own photo without the help of strangers. Capture photos or video above the crowds or in hard to reach places. Terrific for shooting over people's heads when you're in a crowd, or when you want to get a bird's eye view of a scene. Just set the timer, extend the wand and you are ready to shoot. Great at parties, shows, concerts or any event. Perfect for travel, extends 8" to 27". Tripod mount adapter - Attaches to your quick-release GoPro camera to a standard 1/4"-20 tripod stud. This GoPro Adapter is compatible with all GoPro video cameras. Use the tripod mount adapter for attaching your GoPro camera to a 1/4"-20 tripod or monopod stud. 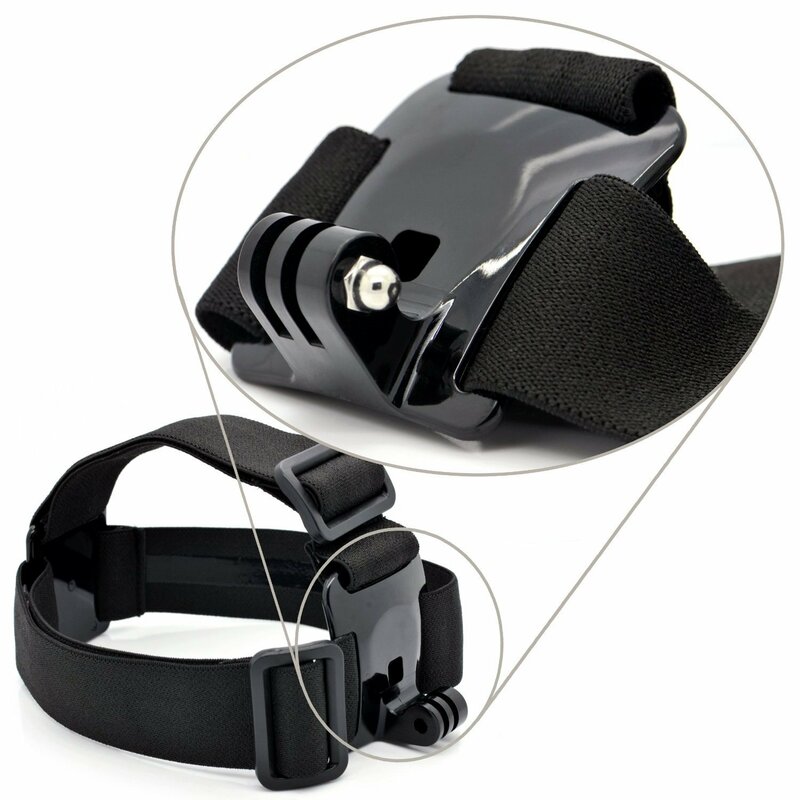 J-Hook Buckle Mount - The Vertical J-Hook Buckle Mount is compatible with all GoPro attached cameras to the helmet, allowing you to shoot freely.